Since early January, a new restaurant did blow an air of Tel Aviv in the Marais. 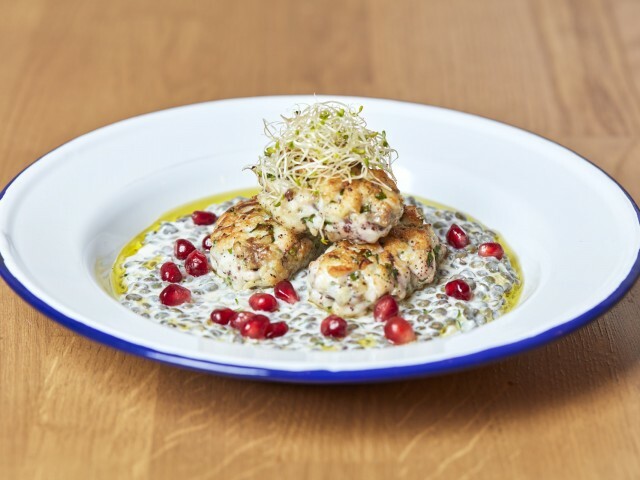 Tavline, which means "spice" in Hebrew, draws energy and creative freshness that constantly vibrating tables and food markets of the city to provide a strong Israeli cuisine, warm, inspired by family recipes. In all dishes and one can see a nice mix of flavors, noted many Mediterranean and oriental spices; such as Zaatar or Mechaia. Originally, two lovers Israeli cuisine: Kobi Villot-Malka trained by Alain Ducasse and former restaurant Chef-Owner Showcase and its associated Keren Benichou.